Prime Minister Scott Morrison and colleagues at the Oats Street crossing. GET ready to say goodbye to railway line crossings at Oats Street, Mint Street and Welshpool Road in Welshpool. Labor has committed to matching the Federal Government’s budget allocation of $207m to half fund the removal of level crossings at the three Armadale Line intersections. Remaining funding would come from the State Government, with the Public Transport Authority and Metronet to have a say on whether bridges or tunnels would be best for each location. 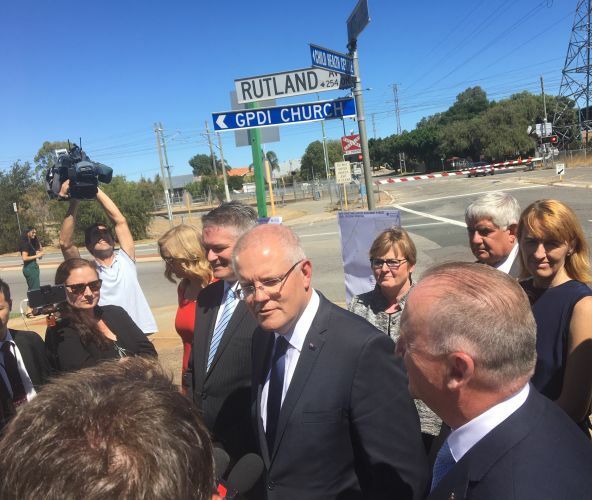 Prime Minister Scott Morrison visited Oats Street on Thursday, where he confirmed money for the trio of level crossings would be part of the 2019-20 Federal budget to be handed down Tuesday. Flanked by Finance Minister Mathias Cormann and Swan MHR Steve Irons, he said fixing the traffic hotspots would ease congestion and increase safety for commuters. “We have got about five minutes before the bells rings again at this level crossing and these level crossings are things that infuriate people as they try to get around the city,” he said. The Federal Opposition immediately promised to match the commitment should Hannah Beazley wrest the seat of Swan from Mr Irons at the coming election. “I know that crossing the railway line is a constant source of frustration for thousands of people,” Ms Beazley said. Mr Irons said his party was delivering critical infrastructure through allocated funding in the coming budget, rather than making election promises. He said traffic congestion and getting to and from quicker were community priorities. “The removal of these three key level crossings in Swan will change the way we move around our city and benefit the entire community,” Mr Irons said. Mr Irons said signed a petition calling for actions on the level crossings was a key factor in helping to secure the Federal funding. 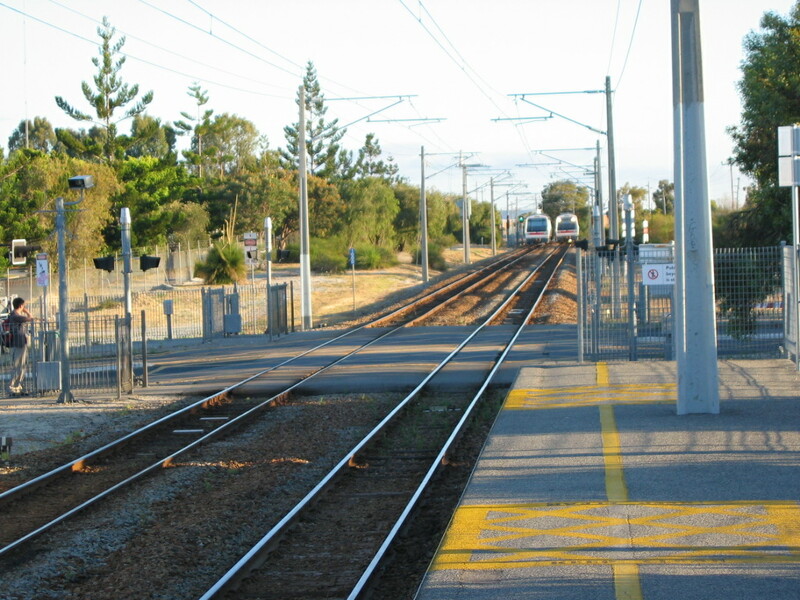 Victoria Park MLA Ben Wyatt reiterated State support to remove the level crossings. He went to the 2017 State election with a plan to remove four local level crossings, including the three that now have Federal support. “The removal of level crossings, that cause so much local congestion and frustration, has always been an important part of Metronet,” he said. “The State Government will continue with its planning for the removal of these crossings and now that the funding also includes Mint Street we will need to continue work to establish the final costings and scope of the project”. Town of Victoria Park Mayor Trevor Vaughan said the council had been long-time advocates to have the rail barriers removed. “We want to reconnect the Victoria Park community across the train line, by transforming the heritage stations into transit-oriented developments linking to Albany highway and main street destinations,” he said.